While it’s nice to think that once you’ve written and edited your magnus-opus, your editing work is done … think again. If an agent or publisher doesn’t get a “taste” for your writing in the query letter (which calls for a paragraph summary of your entire book and often a 1-pager to attach) or “hooked” on your story, then you’ve lost a great opportunity to have them ask for your coveted manuscript. Now, I must be upfront with you about this: I am NOT a master of editing Synopses. In fact, I still struggle with writing my own but I have a good perspective for books I’ve edited for my clients. I can see when they’re adding too much back story, if their hook actually grabs readers, and if they’ve left out anything important (because they don’t want to spoil the story – trust me, you have to SPOIL IT in a one-pager). It is nearly impossible to edit your own synopsis. However, I have found that prior to asking a writing friend or colleague to peruse my offerings, if I take a look at these wonderfully succinct infographics I found online (and see how closely my copy gets to following them) as I complete some final edits, my writing/message improves. Helpful hints for a difficult process. I hear you, But different people learn differently too, and someone might glean something from the way this is set out, as opposed to just ordinary text. I’ve written many synopses over the years and find them extremely difficult to wrestle to the ground each and every time. It’s not a “simple” process by any means and any way of tackling the process is bound to give a new perspective. I haven’t seen these approaches yet, I plan on trying them out. I need to rewrite the synopsis for a book I converted from contemporary to horror, and have been struggling at it for a couple of weeks. Hoping these approaches get me over the hump. Authors, need to write a synopsis? 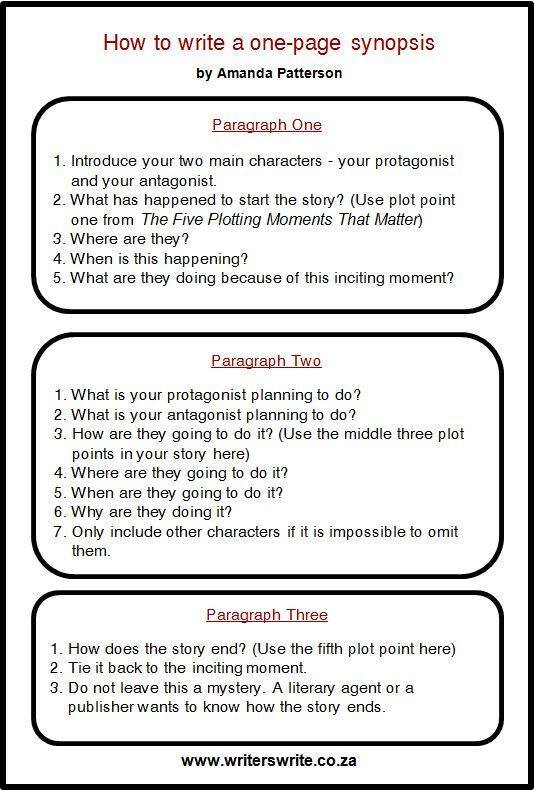 Here’s a simple, direct way to boil your book down to it’s basic points. Reblogged on Archer’s Aim. 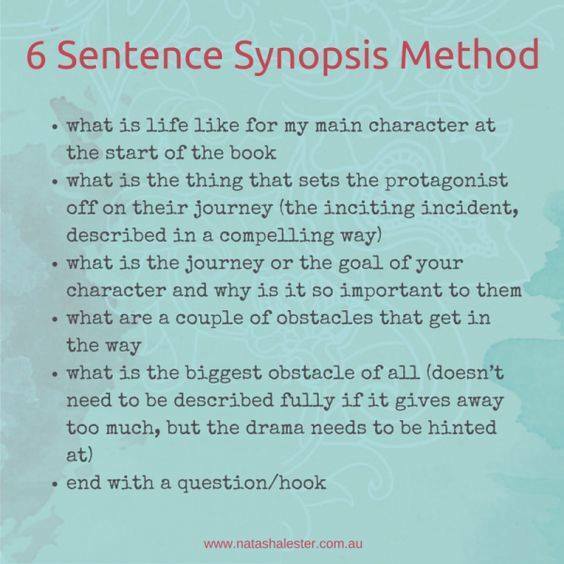 Great practical advice for facing the brain-draining process of synopsis writing. Great step-by-step advice for facing down this monster. Great advice! I’m bookmarking this for future reference. Now I’m standing in front of the Himalaya… the synopsis. Thank God there are experienced writers being able to help us. Here a blog post, written by M. J. Morres, which might help, not only me, but many of us! Thank you for this great post! Valuable information. Precise, concise, and helpful. Thanks. You seem to authentically desire to be useful to others. I appreciate that.